Steady yourself again, for the roller coaster ride continues. When Saturn in Libra goes retrograde today (11:09 PM mst), and tomorrow unfavorably interacts with Mercury in Capricorn, it's time to re-examine or restructure your security bases.Your effectiveness and sense of direction in what you want to accomplish with your personal and social relationships, in your career, and generally in your business affairs will need a look. If you feel ungrounded, uncertain or even unappreciated, take this opportunity to look at what you're expecting to happen that you think will solve your problems. As hard as it may be to acknowledge, it is something stuck within you which triggers these reactions and that awaits your courage to investigate. The way that you react to difficult or unpleasant information, a spat with a loved one that is left unresolved, or a sudden change in a project at work which no one informed you about will be all important. Remember, it's not the weather, but how you react to the weather that sets the course for your day. This week, in particular, give yourself license to reflect, to journal or discuss your concerns with that compassionate friend, and take action next week should you regain your perspective and see clearly what to do. Any important communications will be better made next week as well. If that is not possible and you must relay difficult things to others, be patient, go slowly and allow them time to process what you are saying. 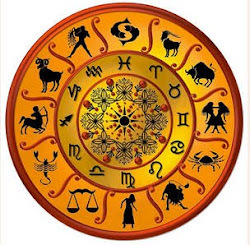 Troublesome astrological influences are never easy to understand and manage. This Saturn retrograde period until June 12th may help you deepen your insight and intuition, and reevaluate how you relate to groups, whether they be community, national or global. You may focus on friendships, find new ones, re-connect to older ones, or allow those not helpful ones to fall away. Your long held dreams may need to be reinvigorated, readjusted or updated to fit your current circumstances. Remember that letting go of the old or outdated allows the universe to give you now what you will most need or value in the future. Last Saturday, January 22nd Jupiter re-entered Aries (10:11 AM mst) and will stay until June 4th, 2011, after being in the sign of the Ram last June 6th through September 8th, 2010. Being in a fire sign allows Jupiter to feel more comfortable and energetically compatible; however, its influences are not without challenges. The optimism, opportunity, faith, spirituality and long-journeying, all signatures of Jupiter are initially challenged by Pluto and soon by Saturn gone retrograde. This will possibly muddy your vision, demand discipline and vigilance to keep you on your course of action, as well as allowing differing points of view to be heard and incorporated into your own perspectives. The strong will of the Aries' influence may make it seem as if doing things without the input or help of others is just easier and more expedient, but without the careful consideration of what others offer, things will probably not work for the greater good in your business or in your personal life. Keep your vision sharp and clear and proceed compassionately and carefully should disruptive or troublesome issues arise. Being passionate and action oriented to the exclusion of what others may offer will not be the best way to handle these sometimes conflicting energies. Give yourself additional time to process what you're doing before you start anything. Be sure to exercise regularly and meditate more to release stress and to feel restored again. Maintain and strengthen your spiritual practices, and push yourself to explore new inner lessons in order to continue growing. Pay attention to your animals, play with them often, and learn from them how to stay in the moment and be happy. 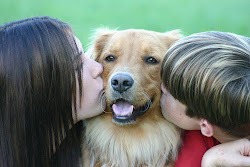 Donate your time or resources to an animal shelter or rescue and see how that uplifts your spirit. Jupiter and Aries bring out action and bigness of opportunity. Set yourself free to be that greater self and brighten the hearts of your work colleagues, friends and loved ones. ending old cycles and beginning new ones in the realm of the mind; beliefs and your ideologies can change radically under this influence. This card also warns against allowing yourself to indulge in self-pity or melodrama.